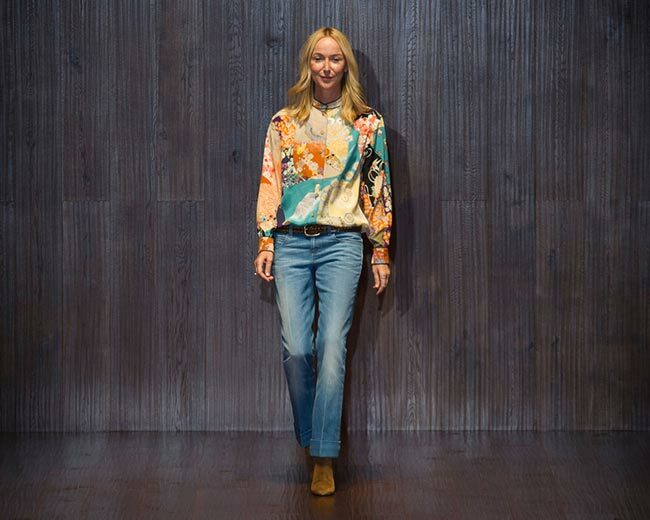 On December 12, 2014, it was made official: Frida Giannini leaves Gucci. Gucci was out looking for a new creative director as the long-time member of the fashion house stated she’d be leaving by the end of February 2015. Now, it appears that as of January 12, 2015, Frida Giannini is no longer holding her role in the company and though she has been Gucci’s creative director for 8 years running and part of the Kering family for 12 years, the brand will now be replacing her with a possible contender from another house. “I would like to thank Frida for her extraordinary passion, dedication and contribution to the Gucci brand. She has been the sole Creative director of Gucci for close to a decade. This is a remarkable accomplishment, considering the level and breadth of responsibility of overviewing all the aspects related to product and image for such a global brand during such a long period of time,’ Fran‚Äö√†√∂‚àö√ºois-Henri Pinault, Chairman and CEO of Kering (Gucci’s parent company), said in a statement. And truly, her work had been astonishing, raising the Gucci brand name to new heights. Giannini is expected to be presenting her final men’s collection for fall/winter 2015 on January 19, while the women’s collection will see the runway on February 25. This thus becomes her final bang before leaving the house for good. Now, we’ll have to see how it all plays out, as there are many possible rumoured choices, including Christopher Kane, Valentino’s current co-creative director Maria Grazia Chiuri, Pucci’s creative director Peter Dundas and a few others. Frida Giannini’s exit coincided with the new CEO taking control and beginning work on reviving the brand. She may have left early, but Frida Giannini has left quite a legacy behind. There are some rather large shoes to fill. Giannini’s husband and Gucci’s CEO Patrizio di Marco has already left the company. The fashion executive had helped steer Bottega Veneta around, bringing in back into the waters of profitability, before joining the Gucci Fashion House. His resume includes the impressive lineup of Prada, Celine and Louis Vuitton. According to Business of Fashion, his time with the house will be remembered by “the gradual minimisation of the house’s interlocking double G logo, a reduction in Gucci’s product range, and the reintroduction of classic house styles in high cost and highly lucrative materials.’ Marco Blizzari has taken the reigns of Gucci and begins a much needed shakeup to bring back growth to the brand.